After placing her marriage on autopilot for years, Beth LaMonte wasn't surprised to learn about the affair. It was her fault as much as his. Her husband merely gave up trying and accepted the attention and affection from whomever was willing to offer it. It wasn't her. It hadn't been for years. The divorce did eventually wake her up, however. How long had it been that she neglected him and chosen to work long hours as a controller for a small company in the city instead? She didn't know. But what she did know, as she finalized the divorce and packed up her personal belongings, was that she didn't want to be empty anymore. She wanted to escape and find out if there really was a person lurking under her cool facade. 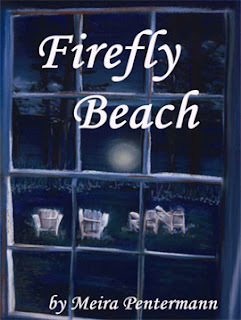 Firefly Beach is an emotional journey with a hint of paranormal. I picked up the book in October while looking for something supernatural and what I found surprised me. Firefly Beach by Meira Pentermann is one part personal transformation and one part paranormal. When LaMonte decides to live off an inheritance for a few months and rekindle her long neglected artistic talent, she finds a quiet community in Maine and rents a cottage to set up shop. Maine seemed to be ideal. 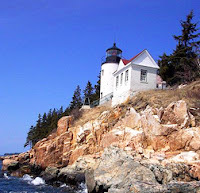 Long before she ever took a class in economics in college, she had once imagined herself living on the coast and selling paintings of lighthouses or rocky coastlines. So this was supposed to be the reincarnation of a dream long forgotten. It might have been had the cottage not come with a visitor. What LaMonte suspects to be a firefly comes by the cottage night after night. She even considered it a nice diversion from all the unpacking in an effort to make an orderly home. It might have even been an insect to match her own mood, a dedicated loner trying to get her life back together. She thought so, at least, until the firefly turned out to be something else. Slowly but surely and with increasing intensity, the firefly lures LaMonte into the woods and down an overgrown path that leads to the beach. It's there that she finds the diary of a young girl — bundled, waterproofed, and hidden away in a small recess in the craggy cliff. At first, LaMonte doesn't pry into the contents. But when she finally breaks down at the urging of the firefly, LaMonte discovers the story of a girl who doesn't live in Maine anymore. And as she reads it, the questions in her begin to mount. Did she run away? Was she still alive? Did someone murder her? 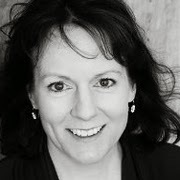 A few graphs about author Meira Pentermann. Firefly Beach was the debut novel of Colorado author Meira Pentermann, originally released by Lyrical Press in 2009. Last year, she rereleased it herself, adding a digital edition to accompany her dystopia novel Nine-Tenths (2011) and children's book Sarah And The Magic Mayonnaise Jar (2013). With the exception of Sarah, Pentermann's writing leans toward young adult fiction that delivers a blending of the unexpected. She has a gift for grounded, down-to-earth characters. They feel like regular folks, if not somewhat sheltered and innocent, which gives her work a slightly nostalgic feel. In Firefly Beach, Pentermann sometimes comes across as slightly Nancy Drew or Hardy Boys. And if the "firefly" wasn't connected to something unexplained or supernatural, it might even be confined to that kind of vintage caper mystery. In most cases that wouldn't be enough, but LaMonte is interesting enough to overcome other shortcomings — the girl who wrote the diary is largely unlikeable and sometimes LaMonte is so linear that it's hard to see her as a painter. Firefly Beach By Meira Pentermann Wisps 3.2 On The Liquid Hip Richter Scale. While considerably lighter than other books reviewed here, Firefly Beach demonstrates significant potential from this still-emerging author. Read it when you want something light, with the paranormal presence that creates intellectual mystery more than anything frightening. Firefly Beach by Meira Pentermann can be purchased from Amazon. Last month, Podium Publishing released an audio version of the book read by Donna Postel. It is available from iTunes. Postel makes a great LaMonte but the diary writer even more annoying for her naivety. Still, it's worth sharing as a tightly written book with a well-oiled plot and several interesting sub plots.